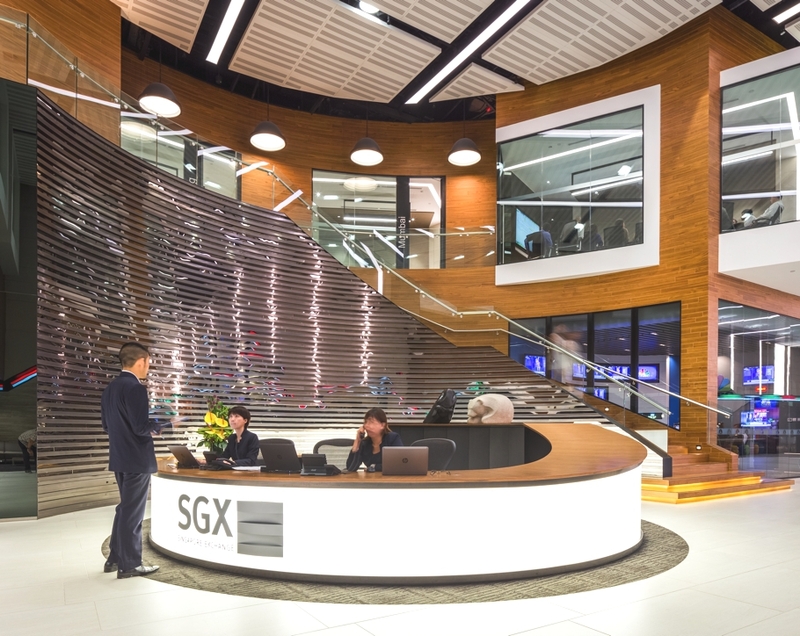 Singapore-based architectural practice SCA Design has designed the SGX project. 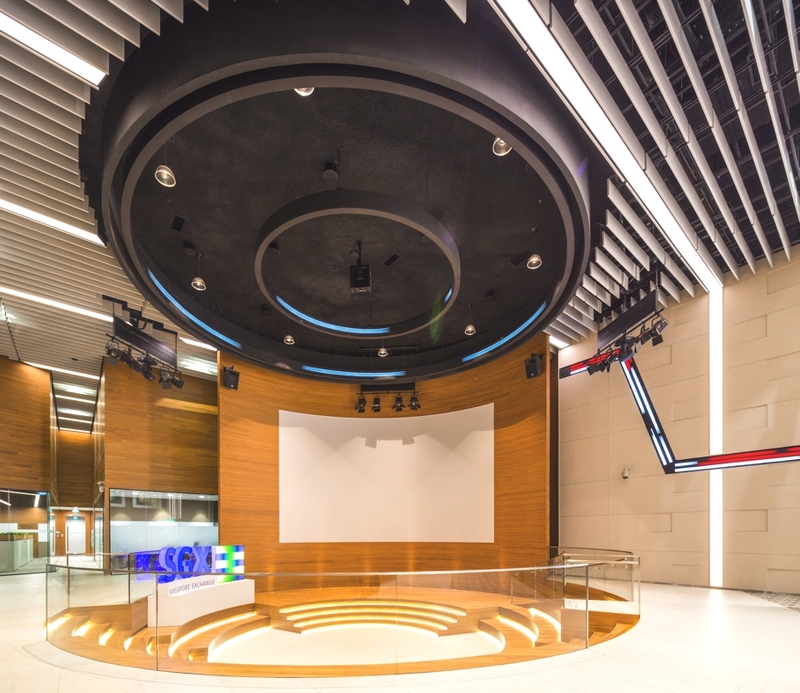 Completed in the summer of 2014, the newly designed offices are located on Shenton Way and The Metropolis Tower 2, Singapore. 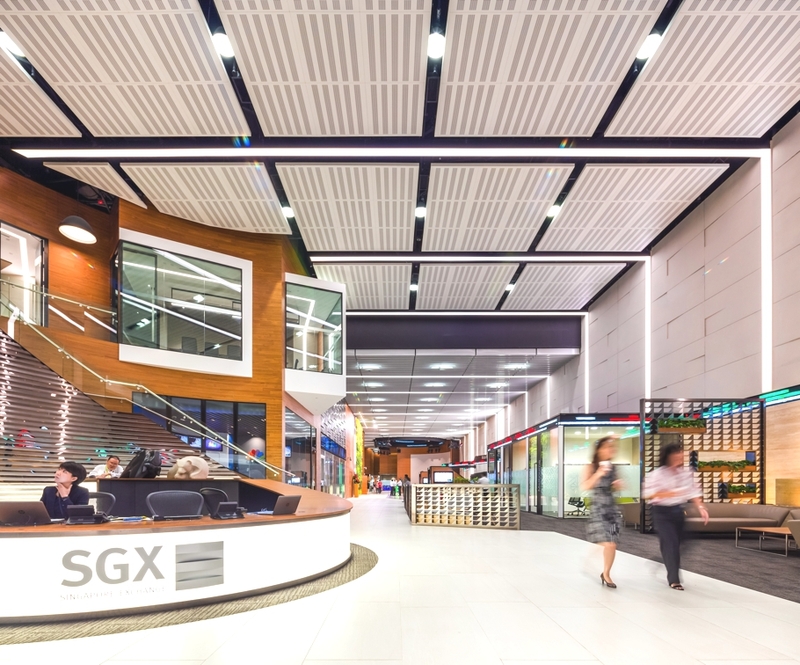 According to the designers: “The Singapore Stock Exchange (SGX) is widely perceived as a growing gateway to the global market place, and an institution that upholds the strictest standards of transparency. 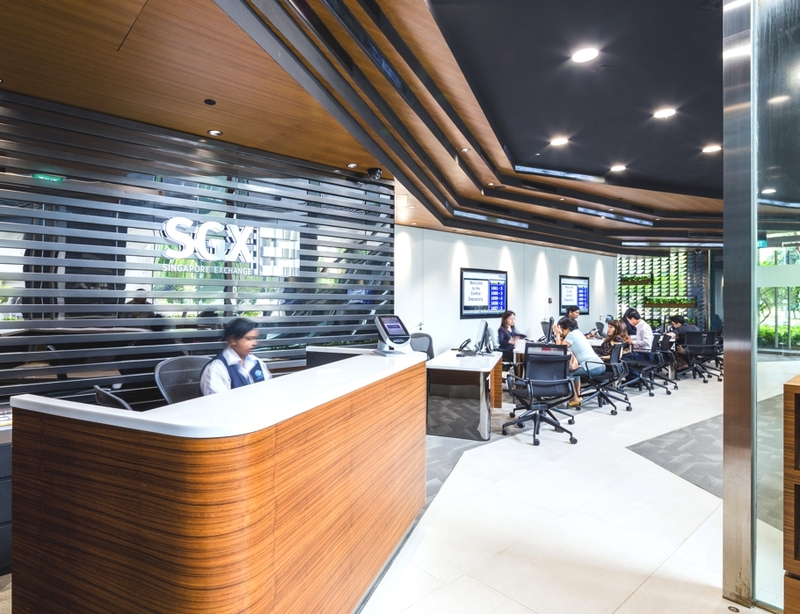 When designing the new SGX, insights from staff and customer alike made the design team realise that this traditional institution is undergoing a rapid transformation; this called for entirely new design concepts that facilitated new ways of relationship building, working and approaching technology. 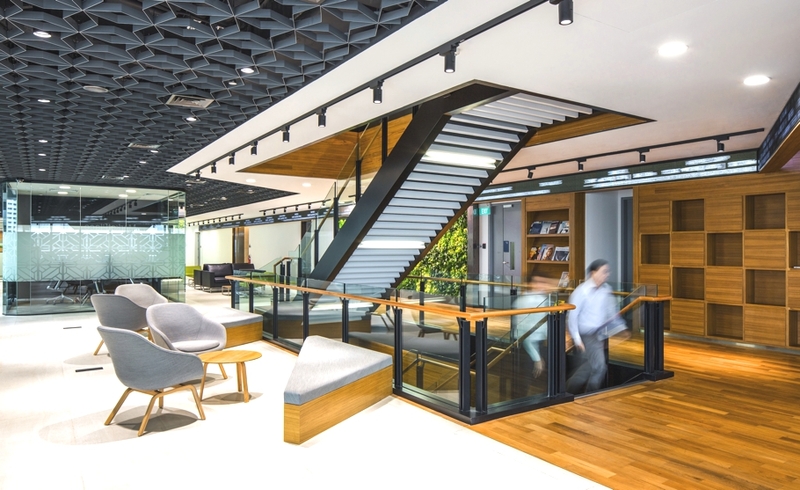 “Two working sites were created: a centrally located SGX Centre that focuses on client engagement and a Vista Site that focuses on staff development and team building. 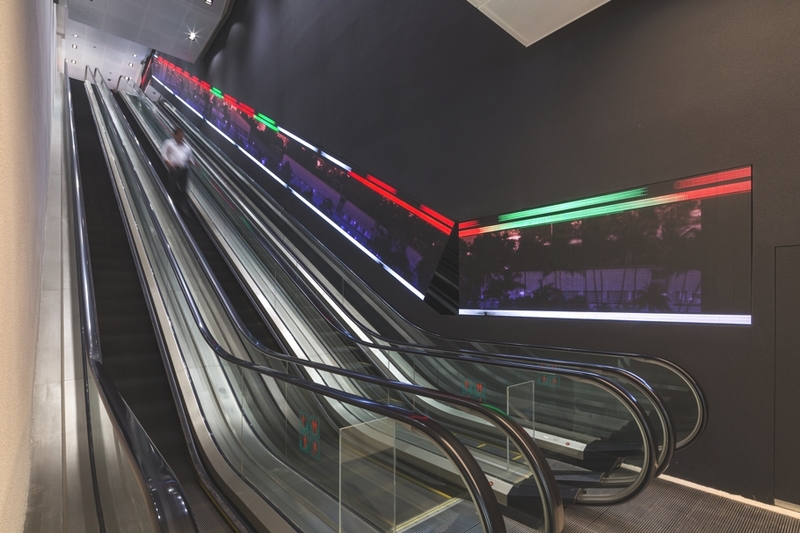 The motifs, patterns and textures of the stock exchange display boards were used to create a series of signature motifs to connect the spaces within and across the sites, and capture the importance of communication to the organisation. 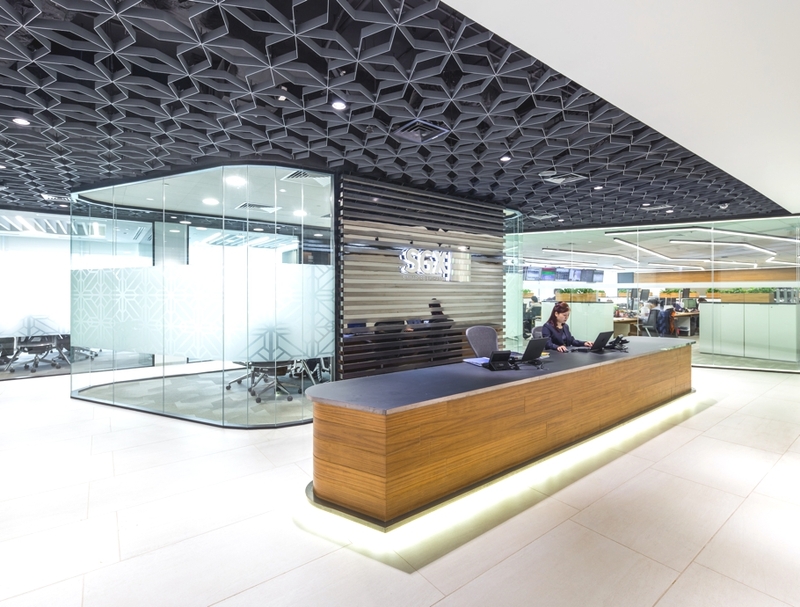 “At client-centric SGX Centre, a series of open, highly visible spaces clarifies the organisational values of openness and transparency. 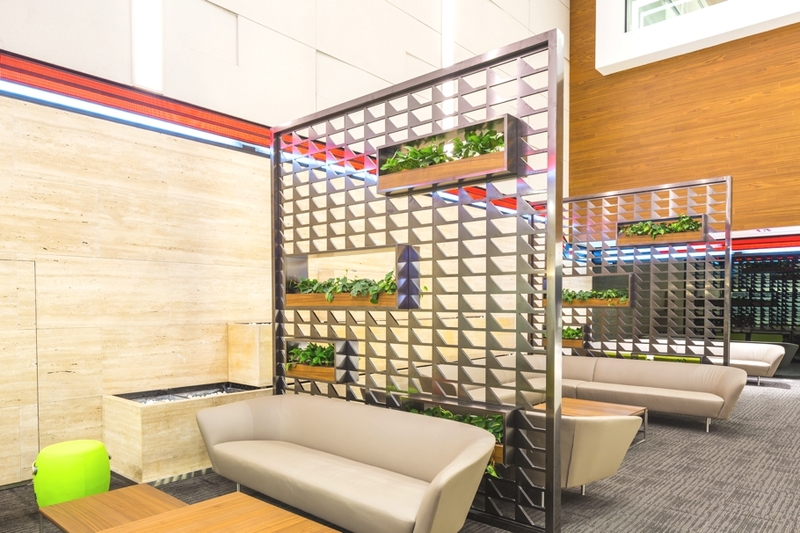 Clear glass and pierced screen walls are prevalent throughout, be it the meeting suite, a broadcasting studio, working and training or control and trading spaces. 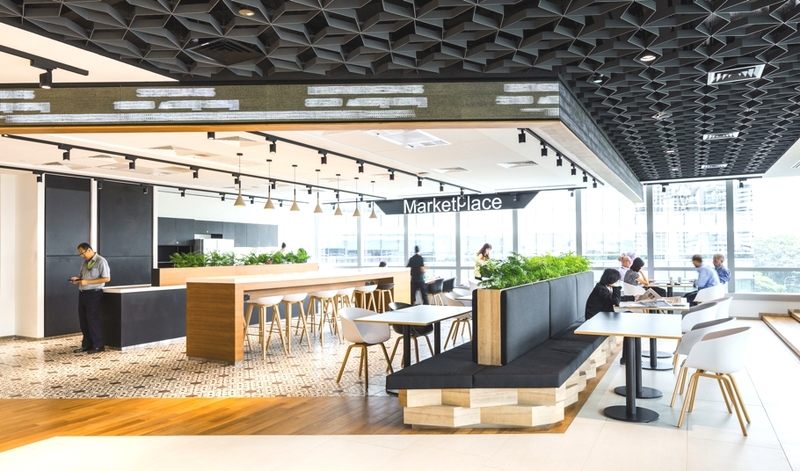 “The SGX Centre also offers a market place, a financial bookshop and refreshment area; not to mention a multipurpose room that functions as office, lounge or dining area. 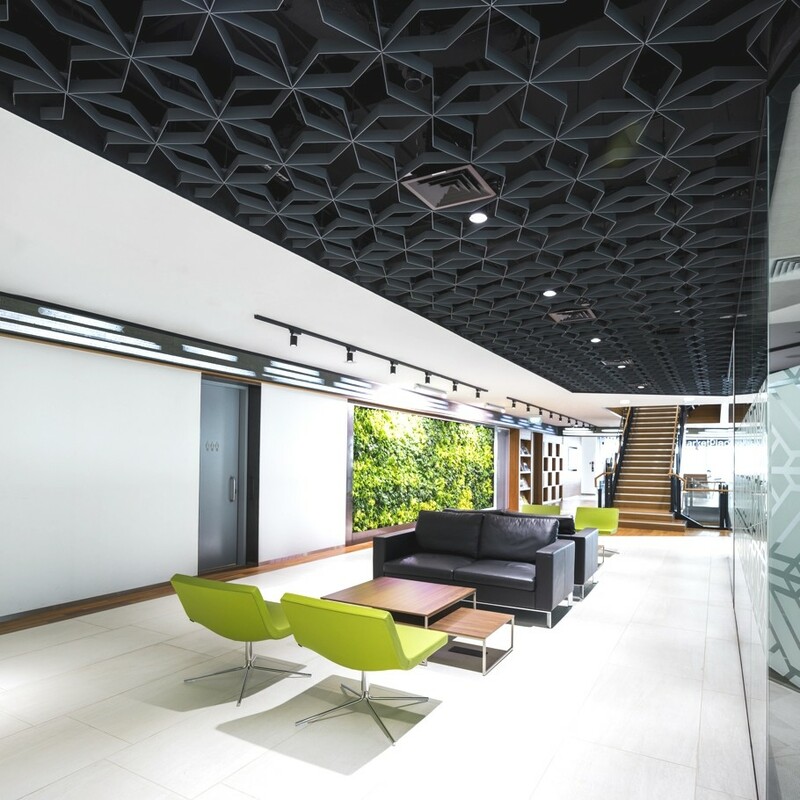 “Transparency plays an equally important role in the interior design concept of SGX Vista, with its large, open reception area, glass-walled meeting rooms, and informal mini-markets on each floor. 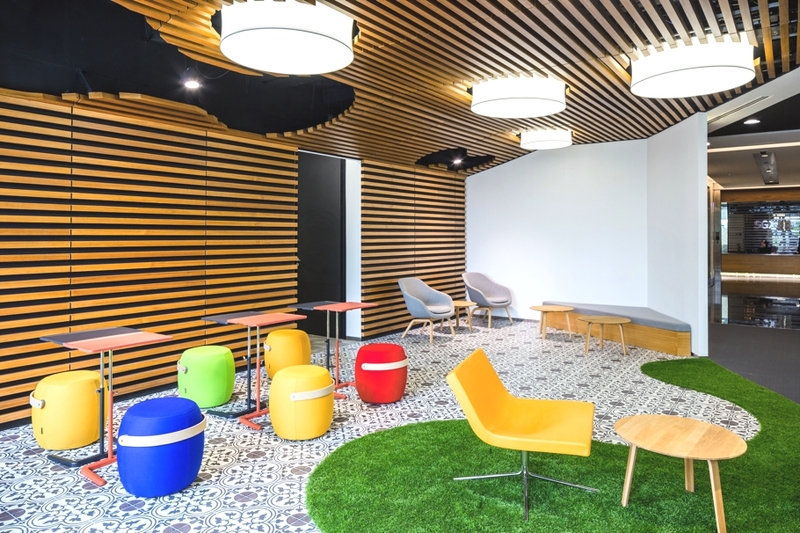 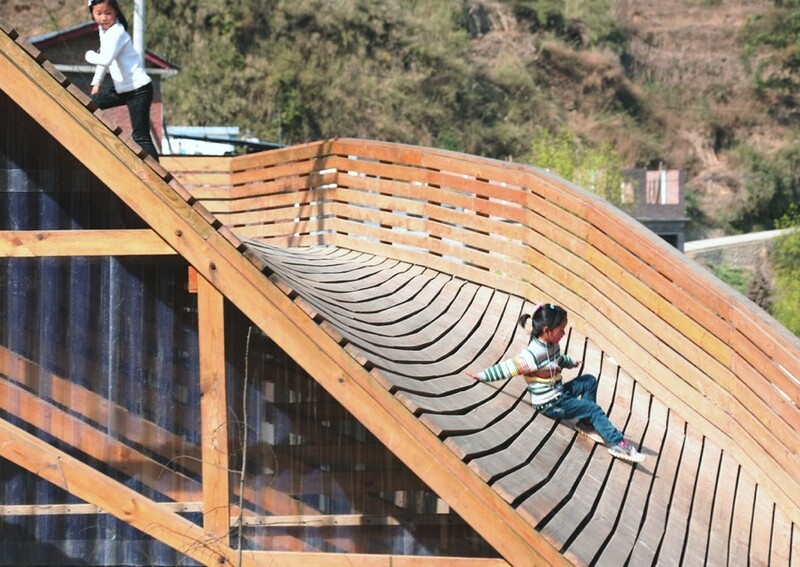 These are designed as informal, collaborative spaces for discussions, meetings, or general congregation areas. 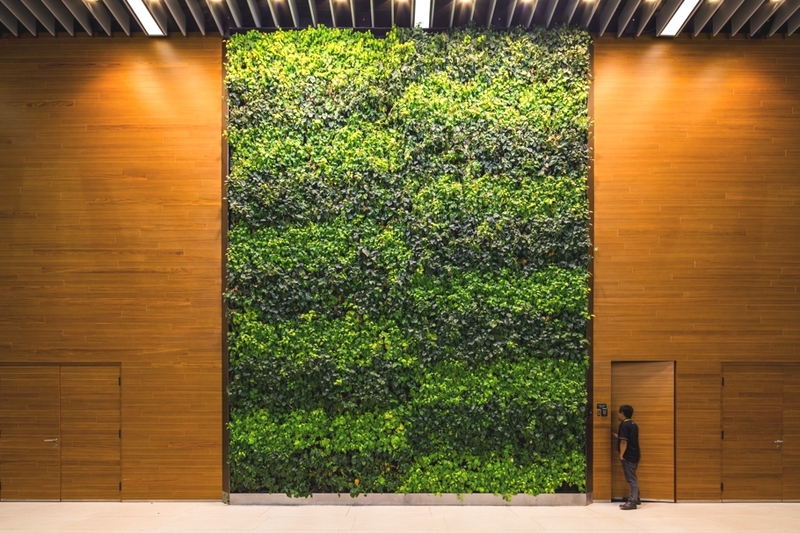 Each floor has its own colour-coded entry lobby with a “Virtual Hello” that provides a digital map and other important information.